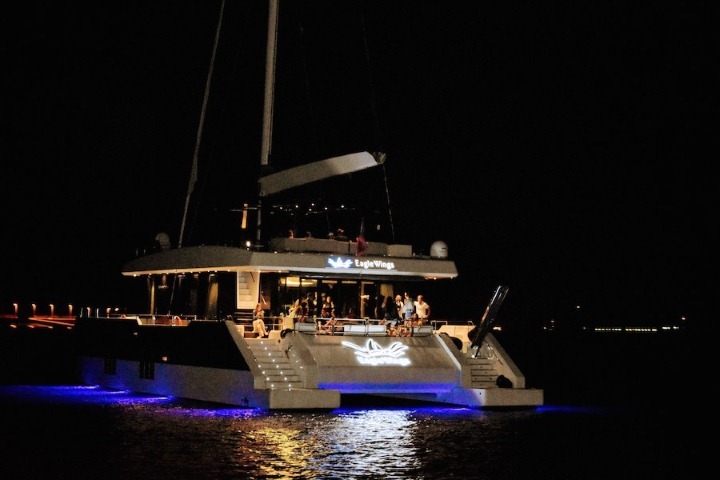 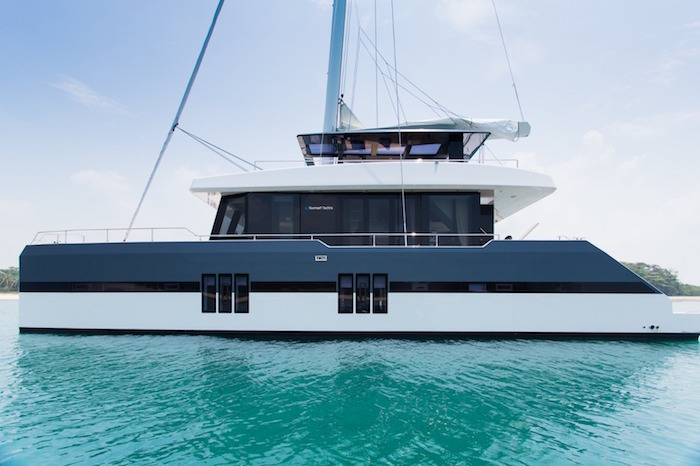 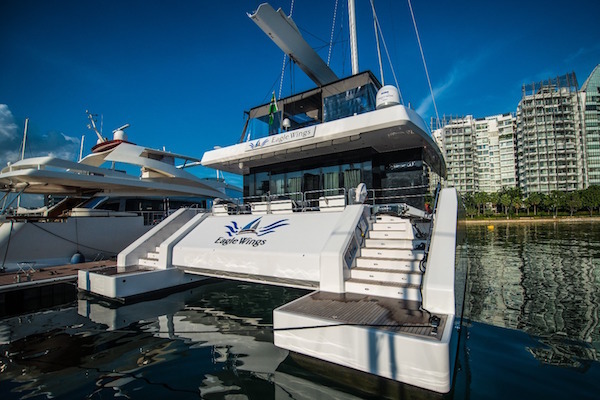 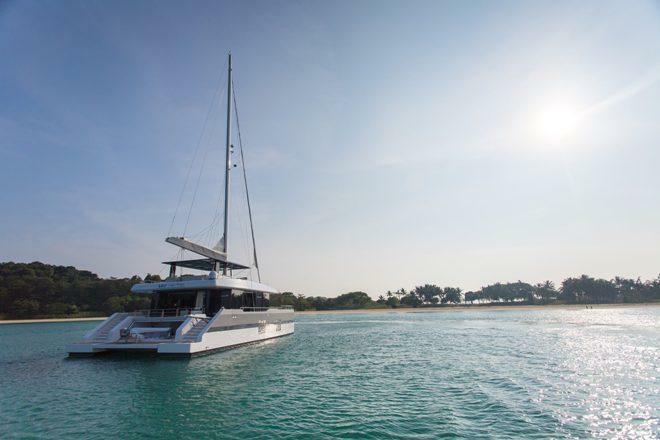 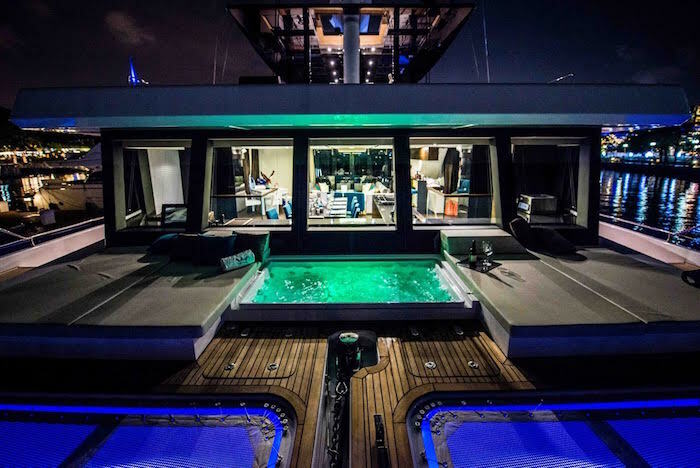 The luxurious 68ft Catamaran can accommodate up to 50 guests on daytime or evening charters. 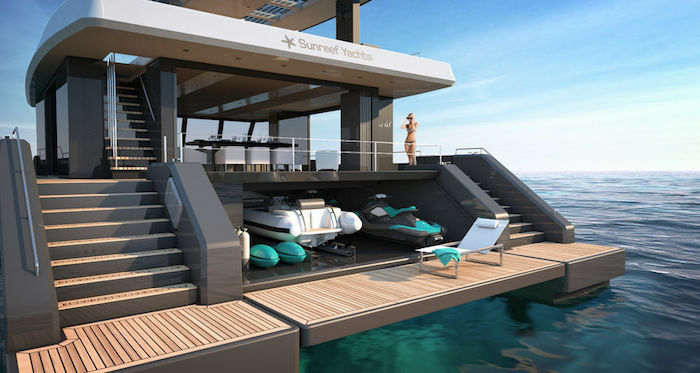 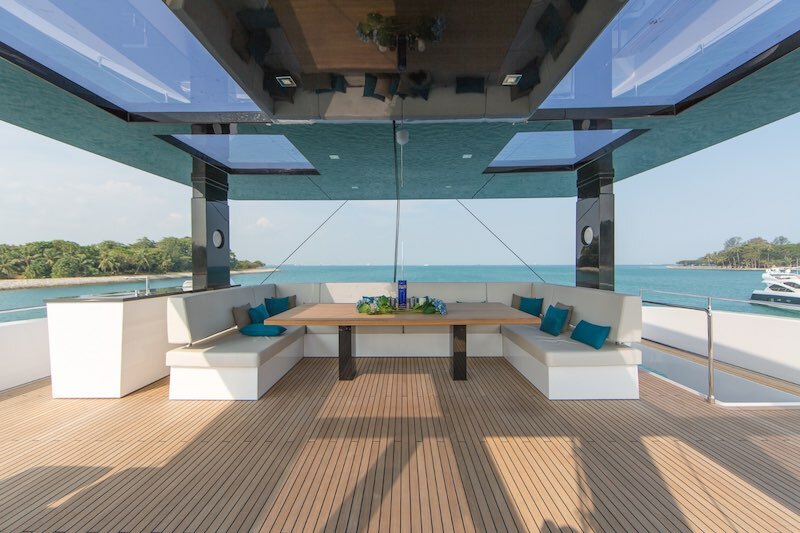 Her spacious interior and exterior allows optimal relaxation for the guests. 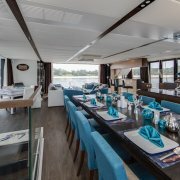 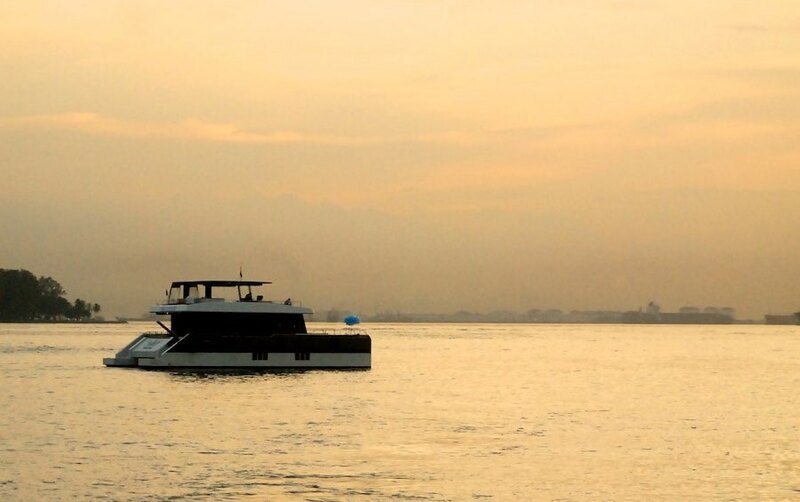 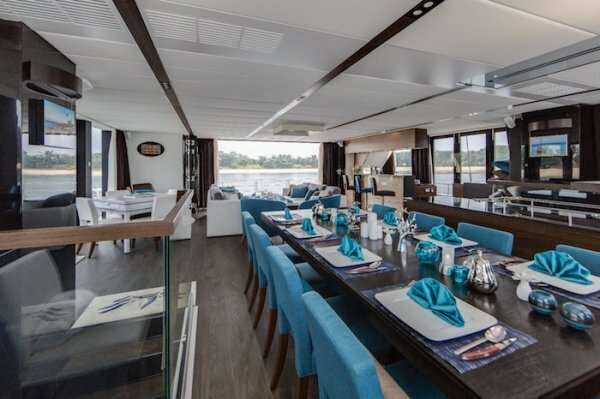 Luxuriously furnished with glass walls, semi-leathered chairs and wooden flooring, the yacht makes a great venue for both business and social functions. 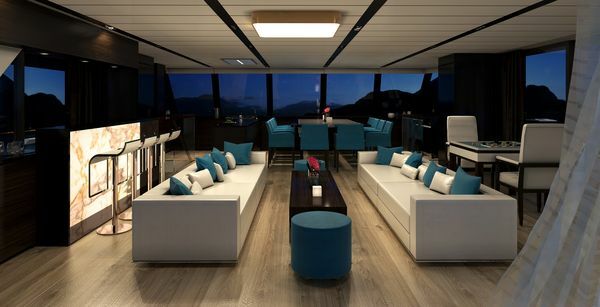 4 cabins with queen-sized beds and private en-suite bathroom.